Summary: Fourteen-year-old Alva Jane has lived with her mother, father, his other six wives, and 29 brothers and sisters her whole life. She is a member of the Fundamentalist Church of Latter Day Saints (FLDS). She is fathers favorite daughter by his favorite wife. Because of her natural mathematical ability she has been allowed to stay in school past the age of 13 and to work at a local store. And even though the group’s prophet arranges all marriages in the community, Alva Jane has her heart set on being a first wife – and on marrying the boy she loves, Joseph John. Alva knows how to ‘keep sweet,’ meaning that as long as she displays perfect obedience to the prophet, her father, and the laws of her faith she will live a happy life. But when her father’s jealous first wife, Sister Cora, catches Alva and Joseph sharing an innocent kiss, her life is turned upside down. No longer protected by her father’s favor or her mother’s love, Alva Jane must face the dire consequences of disobedience. This stunning book opens up a window into the all-too-real world of girls who are forced to marry and have children with men twice and sometimes three times their age. Can Alva survive in a world where women have no rights and all the power lies in the hands of a group of men who believe they take their orders from God? Who will like this book? : People interested in outsider religious groups such as the FLDS. Readers of intense realistic fiction. 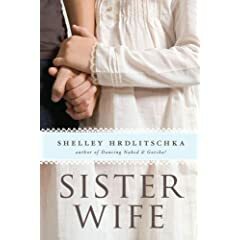 If you like this, try this: Sister Wife by Shirley Hrdlitschka. The Chosen One by Carol Lynch Williams. For younger readers, The Patron Saint of Butterflies by Cecelia Galante. For mature readers, the non-fiction Escape and Triumph by Carolyn Jessop.